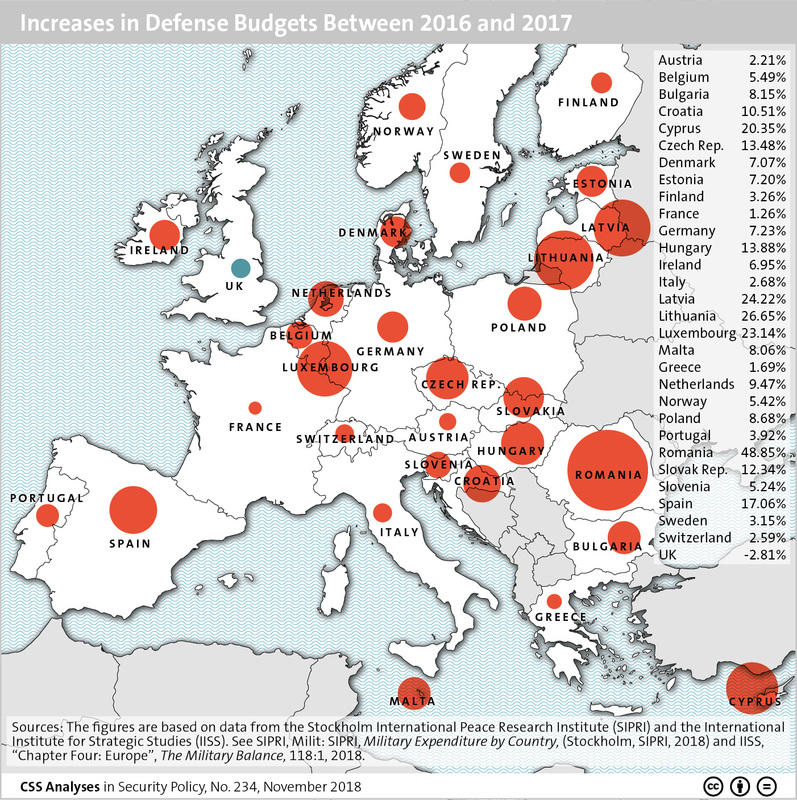 This graphic shows the changes in defense budgets of various European countries from 2016 to 2017. For more on the challenges facing European defense and armament planners, see Michael Haas and Annabelle Vuille’s recent addition to the CSS Analyses in Security Policy series here. For more CSS charts, maps and graphics on defense policy, click here. EU needs to tighten the built.